‘General Hospital’ spoilers relate that although Ryan Chamberlain (Jon Lindstrom) managed to hypnotize Lulu Falconeri (Emme Rylan) into pointing Franco Baldwin (Roger Howarth) as her attacker, it won’t be long before Lulu regains her proper memory. Is the end near for Ryan? That’s what a lot of fans are asking this week as new General Hospital spoilers tease that viewers will soon see him fly into a fit of rage. Ryan is losing his temper, which might indicate that this is the beginning of the end for the Port Charles serial killer. Here’s what you need to know. With Kevin locked away in Ferncliff, Ryan has been pretending to be his twin brother so he can move freely in Port Charles. He’s even helping the Port Charles Police Department with their investigation in hopes that they won’t find out the truth about Kiki Jerome’s (Hayley Erin) murder and his attack on Lulu Falconeri (Emme Rylan). Yet, it looks like Ryan’s days might be numbered though as Lulu is slowly but surely regaining her memory. She recently identified Franco Baldwin (Roger Howarth) as her attacker, and poor reformed ex-serial killer Franco is about to be locked up. But the facts of the matter are that sooner or later, Lulu will indeed put the puzzle pieces together and remember that it was in fact Ryan who tried to stab her to death. The only question is whether it’ll be too late by that point to save Port Charles from yet another victim at the hands of one of the most notorious serial killers of all time. Ryan knows that he’s at the end of his rope. While in Kevin’s office Ryan lashes out and yells and creates a chaotic scene. He’s clearly very close to having a meltdown as he is well aware that the end is near. Elsewhere, terry has Oscar’s latest test results, putting both Drew and Kim at the edge of their seats. Either she’s got good news or very bad news for the young teen. Also, Sam continues her investigation of Dawn of Day and it’s controversial leader, Shiloh. While Sam is trying to uncover the truth about his supposed cult, Shiloh is trying to put his moves on her. Will Sam be able to resist him, or will Shiloh manage to charm her the same way he did with Kristina and Daisy? Sam was recently seen saying how she’s better able to protect herself against Shiloh’s machinations, but she’s putting herself at risk: given enough time and enough tries, everyone has a vulnerability somewhere. This is, supposedly, Shiloh’s art. There’s a real possibility that he could eventually crack Sam’s defence walls and penetrate in there, but it’s going to be a tough tasks. Sam needs to keep her guard up and never forget her mission for everything to work. 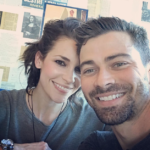 General Hospital Spoilers: Matt Cohen Exits ABC Soap as Griffin Munro – Is He Heading back To Supernatural? Of course, Shiloh isn’t doing himself any favours. The DoD leader recently tried to put the con job on Sonny, who didn’t flinch in the least. Although he’s very perceptive, Shiloh might suffer from his own delusion of grandeur and think himself to be so much smarter than everyone else. This could be Sam’s saving grace, in the end. Of course, fans will have to tune in to find out! General Hospital airs weekdays on the ABC network.